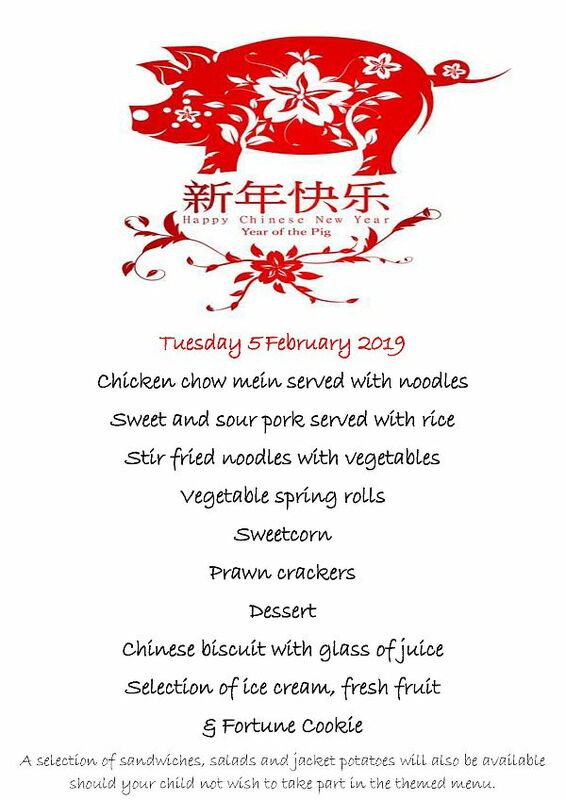 To celebrate Chinese New Year, there will be a Chinese themed menu in the canteen on Tuesday 5 February 2019. If pupils would like to try the lunch on Tuesday but usually bring a packed lunch, please send them into school with £2.50 (which will cover the cost of a main meal and dessert) in an envelope marked with their name, class and ‘Chinese Meal’. We ask that pupils place their payment envelope into the red lunch money box on the wall in either Orchard, Fellside or Beaumont buildings. We will also offer a selection of sandwiches, salads and jacket potatoes if pupils do not wish to take part in the themed menu.